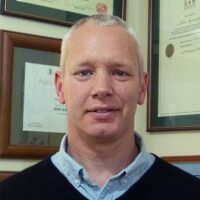 There have now been many books released on Chinese herbal medicine over the past 20 years, with of course the Bensky, Clavey and Stoger Materica Medica being the bench mark and most comprehensive text. Though the Bensky Materia Medica is essential for any student and practitioner of Chinese herbal medicine, it is not exactly user friendly because of its sheer size, for students to be taking back and forth to college. This is where Maclean’s desk reference comes to light. It will easily fit into the students lap top or Gucci bag. And the book is affordable to the average student, especially the Australian and New Zealand student. I would have preferred that the chapter contents be kept in the same order as the Bensky and Clavey Bible and I am not sure why Will strayed from the norm of most Chinese herbal medicine books that start with the acrid and warming categories. 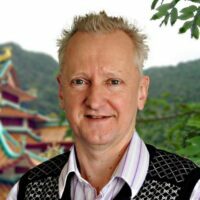 But he gets ten out of ten for the most user friendly herb index of any Chinese herbal medicine text book I have come across. What a great idea to have the herbs listed in alphabetical order with pin yin and the pharmaceutical name all in one index. I know when I research and study, some journal articles and books only have the pharmaceutical name and others only the pin yin. When using Bensky’s book, it always takes me 5 minutes to just get to the right index, but with Will’s book, oh what a breeze. The symptom index is also a bonus, as it includes common names of symptoms, medical terms and even some TCM terms such as xiao ke (diabetes). There is more than one appendix in this desk reference, including all the basic formulae and their ingredients. Not to mention, the formulae are in pin yin, translated name and Chinese characters. Another appendix I find quite useful, and now easily assessable because I own a copy, is the list of herbal medicines requiring special treatment, such as cook first, add later and so forth. I had always wanted to compile a list of these for myself and had procrastinated for 20 years or so, but now Will has done it for me, which is great. There is ample information on each individual herb so you can write any prescription you need and readily identify the major contraindications and common formulae that the medicine is an ingredient of. Then you can flick across the formulae index and review if required. From a study perspective, each chapter includes a simple one page table summary with the main medicines, indications and functions of each, so you can look at the symptoms you are trying to address in any prospective prescription. This is a good page to scan and put into your iPhone just before going to your exams. In the final analysis, it is an excellent book and a great companion to use with Bensky’s Materia Medica. It is perfect for the student and practitioner alike. I know that Will obviously studies the classics daily. I can’t remember the quote exactly but I think it’s from page one of the Nei Jing and goes something like, “when he reaches the age of 56, his Liver becomes dry and he can no longer see clearly”. Will has taken this into account and the print size used in the book can still make this book accessible to us veterans. And he has crammed everything possible into this small desk reference to give you value for your buck. 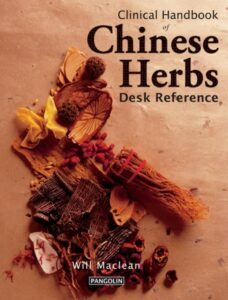 Unfortunately, I won’t be donating my copy of Will Maclean’s Clinical Handbook of Chinese Herbs Desk Reference to the New Zealand College of Acupuncture and TCM library, but perhaps if I offer to buy Will yum cha next time I am in Australia, he may send them a copy.